We specialize in engraving Benchmade Knife professional grade knives. Free Engraving or Free Goods Promo. You Pick One! Free Magnetic Walnut Knife Stand with the Benchmade Logo engraved on the Front. Please note that we have a special pricing program for members of the Military, Federal, State and Local Law Enforcement and Public Safety. Please call toll free 877-564-3399 and ask for Larry Montgomery. There's never a dull moment with a Benchmade... That's right! We will gladly re-sharpen your Benchmade knife to a factory razor sharp edge (service does not apply to any serrated portion of the blade). If you prefer us to sharpen your blade, or if you may have neglected to maintain your edge for a while, simply ship your knife to us. We'll not only sharpen it, but we will also inspect the knife for any warranted repairs and "tune" the knife for optimum performance. 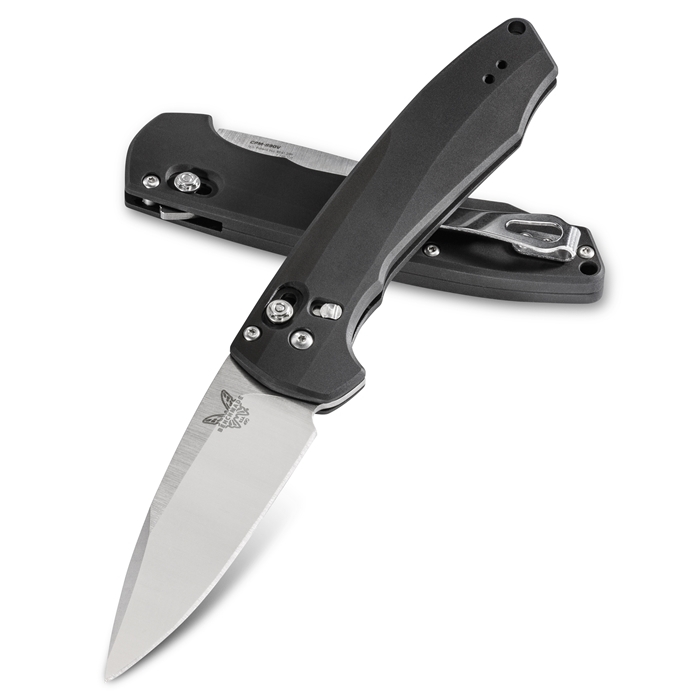 Simply ship the knife to the Benchmade address, postage paid and insured. Please enclose your return shipping address with $5.00 for first knife and $2.50 for each additional knife, to cover handling and return shipping charges. email to [email protected] . Free Engraving or Free Goods Promo-You Pick One! Name to be engraved on blade if engraving selected. You can have up to 2 lines of engraving if the walnut stand is selected.